Mercer Island’s new Parks and Recreation Commission, which should be coming together in June, will have its work cut out for it as it starts advising the city on a number of upcoming parks projects. The city is undertaking several planning efforts, including an ADA (Americans with Disabilities Act) transition plan, the Aubrey Davis Park master plan, set for adoption in 2019, and the Parks, Recreation and Open Space (PROS) plan, set for adoption in 2020. 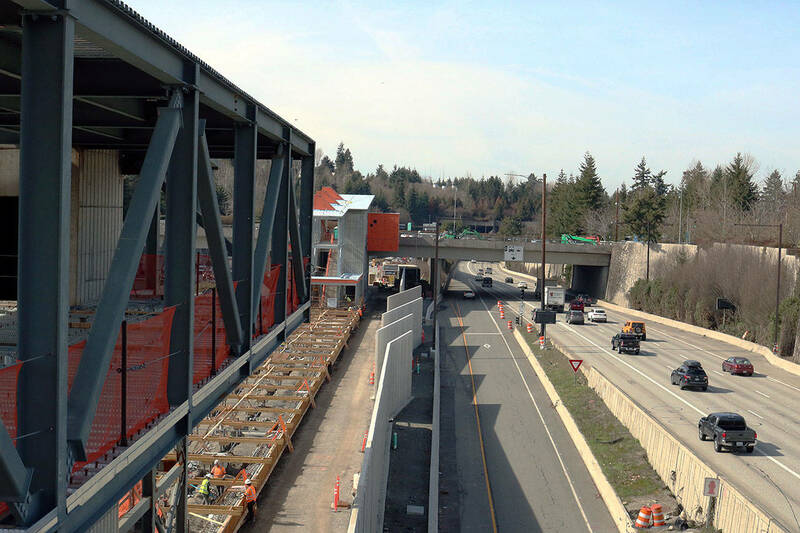 The latter two will help Mercer Island conduct an assessment of its capital infrastructure, which is aging in many places around the city. At the March 2 city council meeting, Parks and Recreation director Jessi Bon reviewed a few parks infrastructure projects. The first was the dock at Groveland Beach, which is wrapping up. The park is set to re-open on May 25. The second was a planned removal of the Clarke Beach swim enclosure. The sheet pile was constructed in 1972, and is scheduled for removal in 2020. An assessment in 2014 determined the “hard” structure, which “may be the only one like this around,” Bon said, was detrimental to the lake and fish habitat. Bon said the city may have potential partners and grant funding for the project, including from the state salmon recovery program, but it won’t be eligible for some funding until it completes its PROS plan. The city may also seek grant funding for a potential project at Luther Burbank Park, and is seeking to update and reconfigure the dock there. The current docks are 45 years old, and too high for most of the boats that use it, which include small power boats and human powered watercraft. Design is expected to occur in 2019-2020, with a project cost estimate of $2.5-3 million. Bon said the city needs a preliminary design or concept to be competitive in any grant process. The Luther Burbank “waterfront plaza” — home to the boiler building and restrooms — was also reviewed by the council. A drainage system failure there last year caused damage to the masonry and pavers, but repairs are expected in 2019. Bon said the artist who originally installed with “handsome bollards” on the plaza will visit the Island to help with the restoration. Another project involves backstop improvements at the South Mercer playfields, which has a problem with flyballs entering the spectator area. The city plans to upgrade the poles and netting at the fields. When questioned about the high prioritization of the project, Bon said it was an equity issue. The city recently completed a renovation at Island Crest Park, where the baseball team plays, and needs to invest equally in its softball and youth programs, she noted. Applications for the new parks board are due on May 3. See www.mercergov.org for more.